My friend Jamie Aguirre who you can visit here and here posted this wonderful Sarah Jones video for TED on my facebook page. Jones asks to what extent do we self construct? I feel like a little kid in a candy store, really, I do. Here is another Sarah Jones video. Have I mentioned how amazing I think she is? 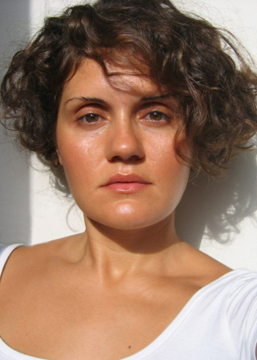 Athens based artist, Georgia Kotretsos is the editor-in-chief of Boot Print, a contemporary art publication published by Boots Gallery. For the next two weeks Georgia will be the guest blogger on Art 21. [I] condemn all forms of violence and vandalism and I have been firm on this since the very beginning. Yet in a cloud of ambiguity the media, a political party and many civilians justified the mayhem and fed its appetite. A state of simmering pandemonium stamped this holiday season and with no further delay, a bloody dialogue was set in motion in the early hours of January 5th, 2009. Thirty Kalashnikov shots were fired towards three policemen who were guarding the Ministry of Culture. The gunmen sealed the attack with a grenade. A 21 year-old policeman was wounded and still remains in critical condition. Eleanor Dubinsky is a musician, choreographer, video and visual artist whose performances and installations create the experience of travel and a sense of immersion in the unknown. Eleanor’s work embraces and inspires imagination and explores our connections to our bodies and to one another. She is interested in expanding who gets to participate in art-making and wants to engage audience members in a sense of wonder, questioning and creativity about their everyday lives. To this end, she rehearses, installs and performs her pieces in public spaces such as train and subway stations, parks and storefront windows. 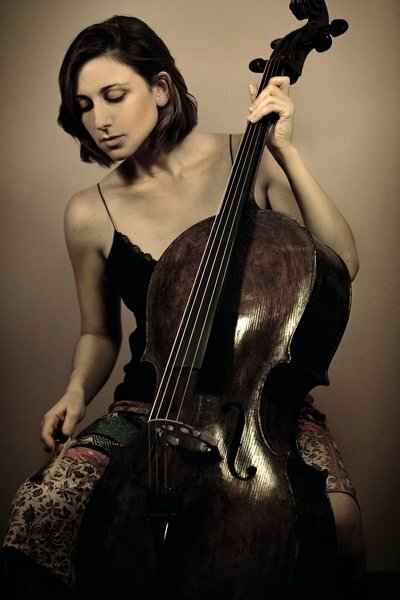 Eleanor’s artistic roots are in music, beginning with classical cello at the age of three. Based in New York since 1999, she has performed and created in France, Poland, the Czech Republic, Argentina and throughout the United States. Eleanor’s pieces Fast Body (2007) and Get on the Guagua: a film about getting on the bus and around in general in Havana, Cuba (2006) were selected for the Danca em Foco International Videodance Showing in 2008, which will take place from August 7-24th at Oi Futuro, Rua Dois de Dezembro, 63/4º andar – Flamengo – Rio de Janeiro, Brazil. Eleanor will be in Turkey from July 12-29 participating in a week-long intensive workshop in music and dance improvisation with master teachers Julyen Hamilton and Barre Phillips, followed by a week-long performance residency in Cappadocia with the Paris-based dance and music collective Emma Jupe, of which she is a member. They will be developing and performing new work and performing daily for the local residents in public spaces.